But there is no way around it - autumn is here. 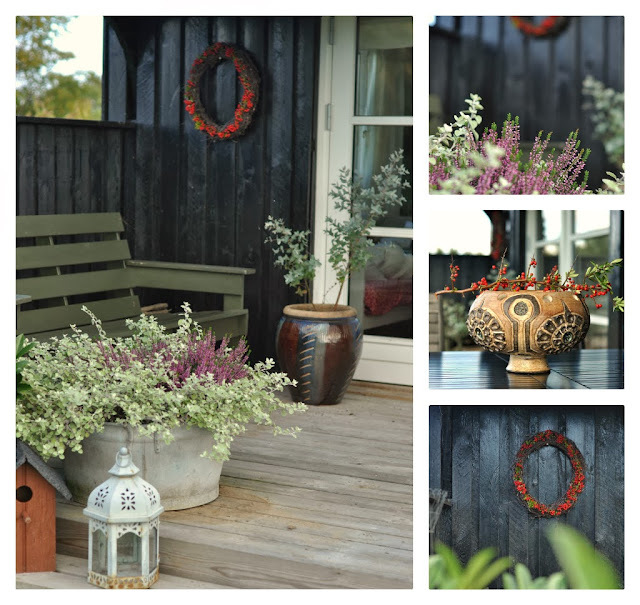 And so I had a lot of fun decorating for autumn in the garden. A very good thrift Saturday helped me out. A Jette Helleroe flower pot for next to nothing. It´s in the same pattern as the small lamp I found earlier this year. Yellow with a floral decoration turning from brownish black towards green. You see it on the photo next to the pumpkin. I also finally found a way to use the large Jette Helleroe lamp that I found earlier this summer. It´s now turned upside down and makes a good bowl for the table - see photo in the right column. The wreaths I made of Firethorn and birch. The latter are some wreaths I made one spring. 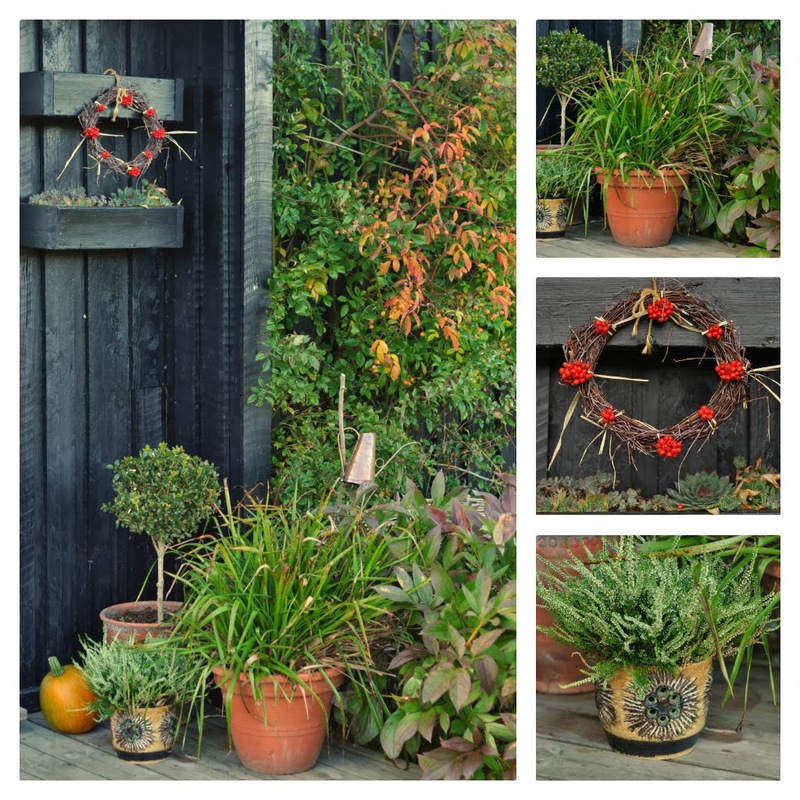 It´s very easy to bend the twigs from birch into a wreath and it makes a good base for decorating. The Firethorn berries have the most lovely red colour. Really like fire. - And the birds love those berries. A good way to attract birds to your garden. Now I just need to find a way to use the small yellow Jette Helleroe lamp. It´s not as stable as the large one and so it takes a bit more thinking - and creativity.